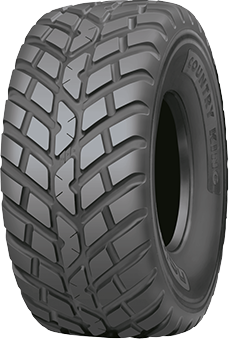 The versatile working environments in agriculture and heavy earthmoving are the ultimate test to a trailer tyre. CT trailer tyres are designed for extremely heavy loads and the most demanding agricultural and contracting tasks. Now a new range of these famous flotation tyres has been launched. 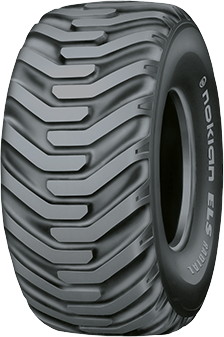 Nokian Country King is your long-lasting, rugged flotation tyre for demanding use in large agricultural machines and trailers. Its good self-cleaning properties and reliability have made it a popular choice for a variety of applications. 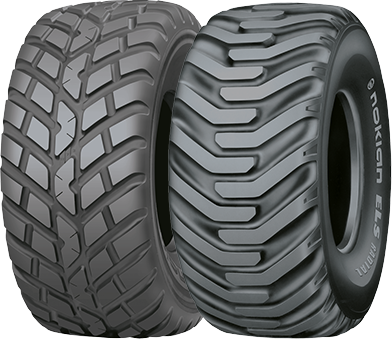 A flotation radial tyre for massive agricultural machines and trailers has proven to make the giants gentle to the soil. Its value and features have made Nokian ELS a classic product. Having experienced durability problems with their previous tyres, A&G Erdbewegung und Transporte decided to try out Nokian CT on their five heavy Kröger trailers. “It was three years ago”, says Mr. Günter Zens. 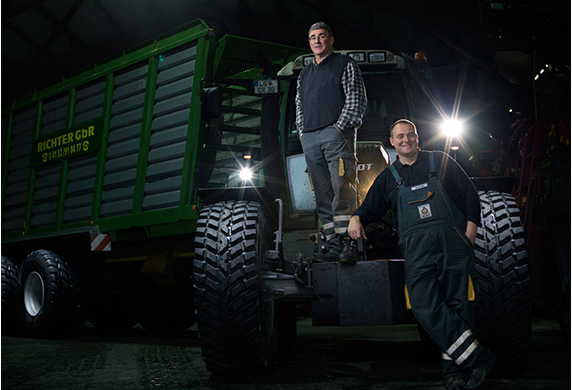 “Now the oldest CT tyres have some 6000 hours of use – with zero problems”. Operating almost entirely off-road, Zens values CT’s good self-cleaning properties. “We drive a lot in soft sand. It is crucial that the tyre cleans itself effectively. In many ways, CT is the perfect tyre for us”, he says. Stability under heavy loads is another feature Zens finds invaluable. 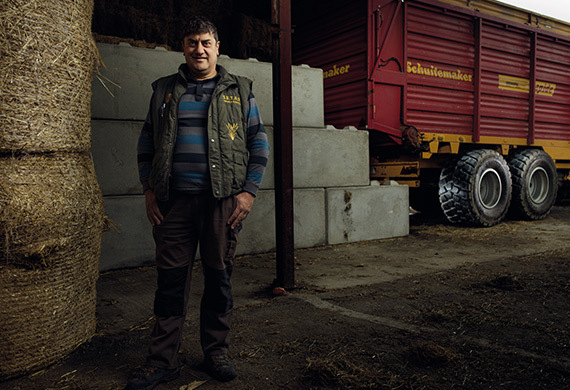 “Our fully loaded tridem trailer, pulled by a heavy Fendt tractor, tips the scale at 60 tons. Even with these extreme weights, CT feels at home”, says Mr. Zens. “Wear rate is excellent, stability and self-cleaning and puncture resistance in its own league”, Zens sums it up. “We are really happy with the product”. 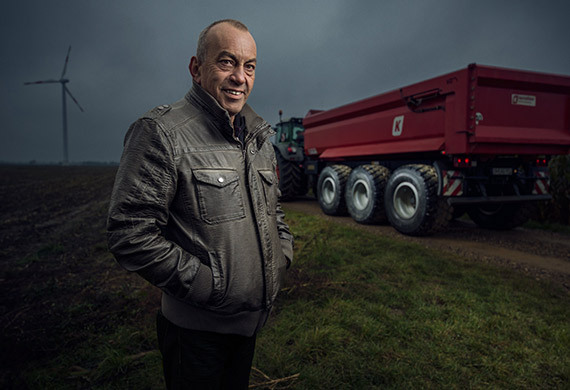 Jürgen Ricter’s company does contracting jobs for local farms and bioenergy plant with a fleet of 16 tractors, 17 trailers and other agricultural machinery. In 2011, they came across with Nokian Country King tyres. Impressed with the tyre’s large contact area and straight sidewalls, they decided to give them a try. “The tyres turned out to be very good in real use”, Richter says. “Now we have five of our trailers fitted with Nokian Country King, and one Fendt 820 tractor fitted with Nokian TRI 2”. In four years, they have encountered zero problems with Country King. “Stability and large contact area added with long service life has made us really like Country King”, Richter admits. Each of Richter’s trailers see about 500 hours of use every year, 60–70 % of which on-road use. “Reliability and self-cleaning were the main reasons for choosing these tyres”, Richter says. “Country King is very good in every way, there is no negative to comment about this product”. Located in Rhône-Alpes region of France, S.E.T.A.R. Bibollet has special needs for trailer tyres when transporting fodder, corn and agricultural waste. “In the Alpine region, lateral grip during loading is important. Nokian CT has been superior in that respect”, says General Manager Serge Contat. With Nokian CT, there haven’t been any punctures”, Mr. Contat explains. “Also, the stability under heavy loads is excellent”. “Our terrain has a lot of limestone, which can cause tyre puncturing. S.E.T.A.R. Bibollet has some 15 tractors in agricultural contracting work, along with several trailers and other machinery. A lot of the work involves transporting heavy loads on-road, where Nokian CT has also proven its worth.